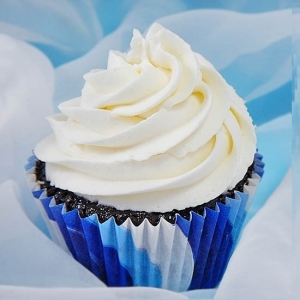 Imagine how excited your family will be when you announce you’re making cupcakes for dinner! 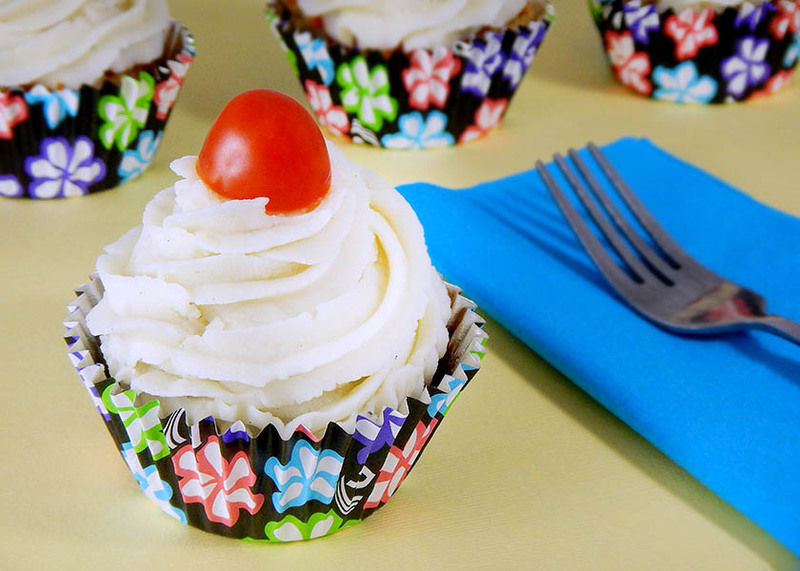 When they peel back the wrappers they’ll discover the “cakes” are made of meatloaf, topped with swirls of mashed potato frosting, and cherry tomatoes on top. 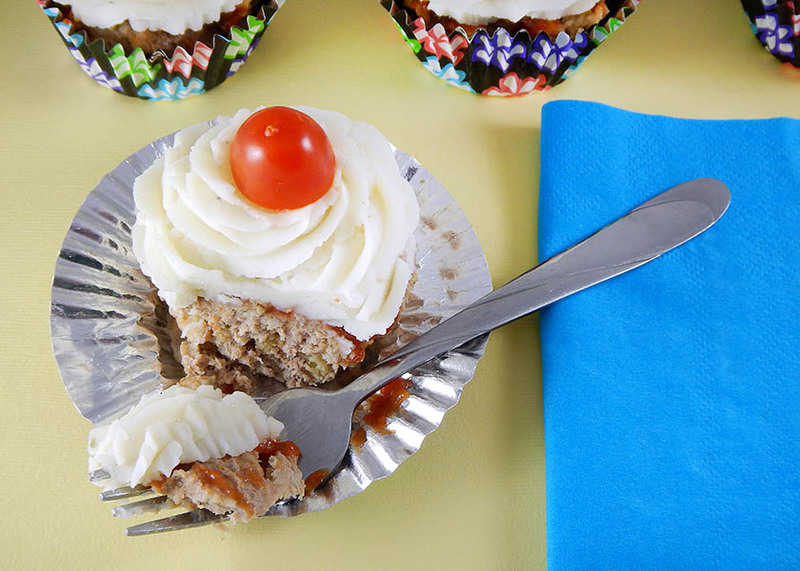 Meatloaf Cupcakes are so much fun! If the kids are disappointed, they won’t be for long. A sweet glaze and garlic mashed potatoes take this flavor beyond your run-of-the-mill meatloaf. 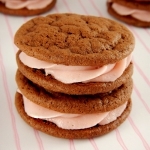 Plus, after the dinner that looked like dessert you can surprise them with dessert that looks like dinner. Isn’t this the strangest cupcake ingredient shot you have ever seen? To start, preheat your oven to 350-degrees and place foil liners into standard-size muffin pans. In a small bowl, combine 1 cup of seasoned stuffing mix (I used Stove Top), 1/2 cup milk, 1 egg, 1 tablespoon Worcestershire sauce (That’s tough to say, let alone spell! ), 1 teaspoon Kosher salt, and 1/4 teaspoon ground black pepper. Let those ingredients relax and get to know each other for a while while we get chopping. 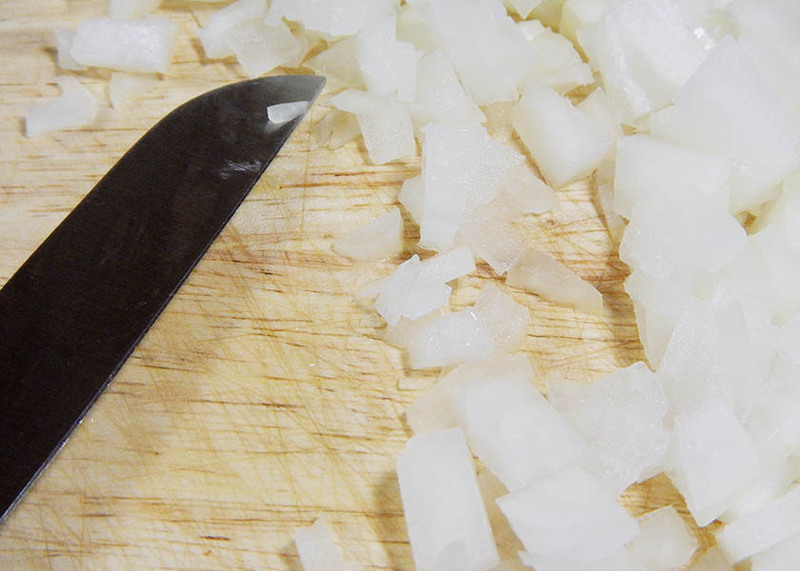 This may be the most unusual cupcake ingredient I have ever used — onion. Dice one small onion then sauté it with one tablespoon of butter in a medium pan over medium heat for about five minutes. Add one teaspoon of minced garlic and cook for about two more minutes. It will start to smell really good at this point. Stir the onion and garlic into the stuffing mixture. In a large bowl, combine 1 and 1/2 pounds of meatloaf mix (It’s a mixture of beef, pork and veal you can usually find in the beef section), with the stuffing mixture. Stir until just combined. 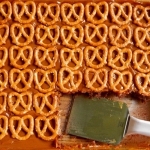 Fill each foil liner to the top. Foil is key here. If you use paper wrappers, fat will seep through and create a mess. In a small bowl, combine 1/2 cup ketchup and 2 tablespoons of brown sugar. It may sound weird, but I promise it is oh-so-good. This glaze will caramelize and give your meatloaf cupcakes a slightly crisp salty-sweet top crust. My mouth is watering just thinking about it. Bake for 20 minutes until the internal temperature reaches 160 degrees. Remove the pan from the oven. Cool for five minutes. 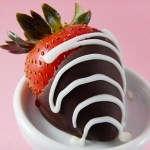 You could “frost” and serve them like this, but there will be a bit of grease in the bottom of each liner. It looks better if you take each cupcake out of the baking liner and put it in a clean one. 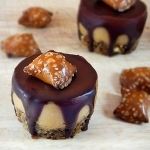 I baked mine in plain foil cups, then transferred them to Reynolds StayBrite Cups. They make some cute and fun designs. Now for the “frosting.” Wash and peel two pounds of potatoes. (Whoa! I got a little close there with the macro focus). That will be abut six or seven potatoes. Cut each one into 2-inch pieces. Boil them for 10-15 minutes until they’re soft. Drain them and place them in a large bowl. While the potatoes boil, melt four tablespoons of butter in a medium pan over medium heat. Add two teaspoons of minced garlic. Sauté for two minutes. Turn heat to low. Stir in 1/2 cup milk, 1 and half teaspoons Kosher salt, and a 1/2 teaspoon of white pepper. Heat this mixture until the milk is warm. My family always complained that mashed potatoes get cold way too fast. 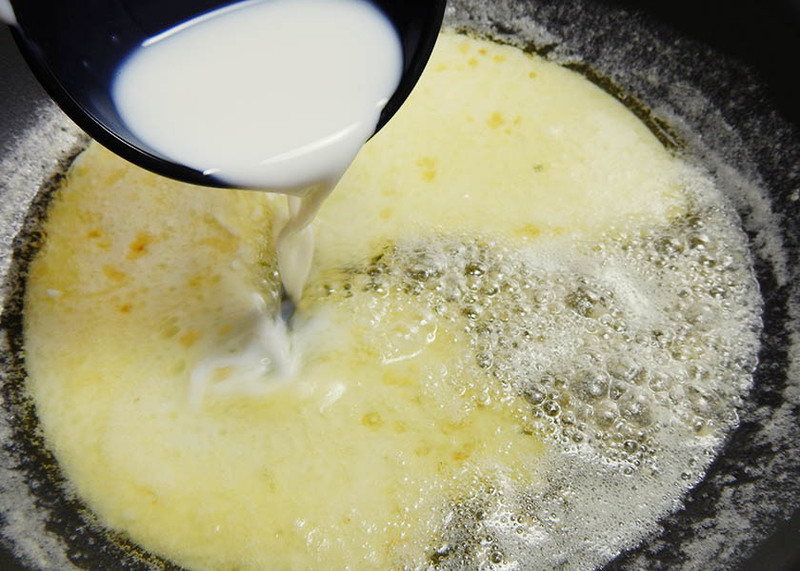 Heating the milk and butter before you add them, helps them stay at a nice temperature. Stir the garlicky milk into the potatoes then whip until they’re smooth. Pipe or spoon potatoes onto your meatloaf cupcakes. I used a Wilton 1 M tip to swirl on my frosting. You can use whatever you like. If you prefer chunky mashed potatoes, definitely go the spoon route. No one wants to spend the night clearing potato chunks out of a pastry tip. 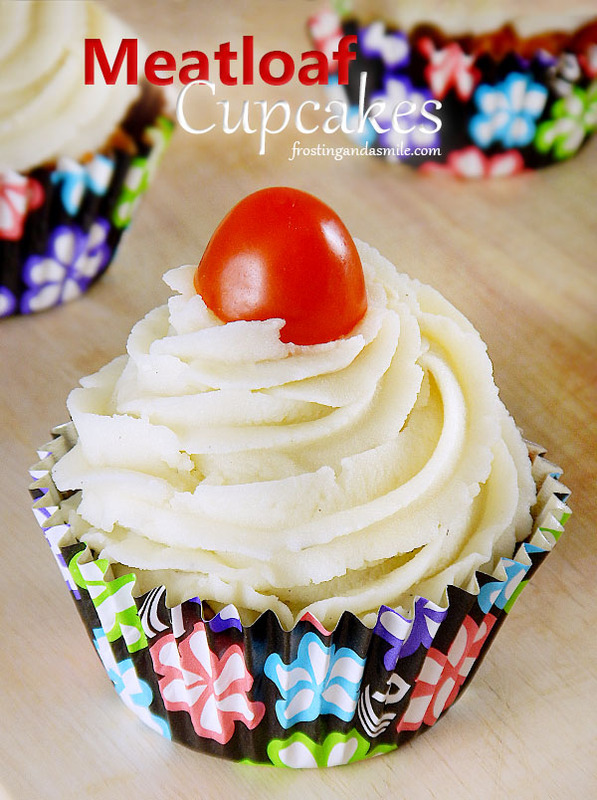 Top each cupcake with 1/2 a cherry tomato. Then, dig in. These don’t just make a cute April Fool’s Day Prank. They’re a fun way to encourage kids to eat their dinner any night of the year. I’d love to hear how your family and friends react to your cupcake surprise. Let me know in the comment section. You can find it at the bottom of this page. 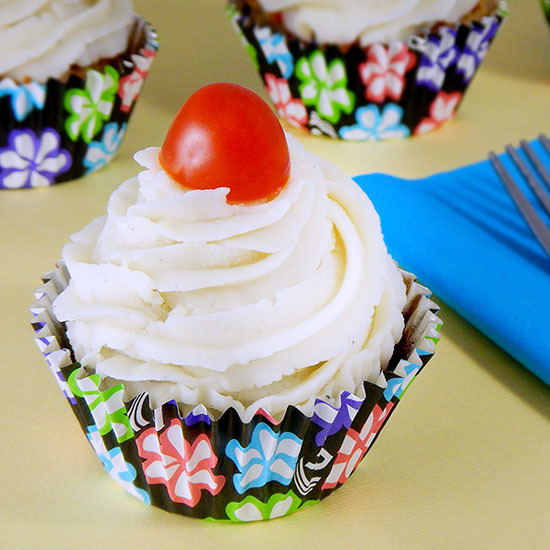 Meatloaf cupcakes with mashed potato frosting and a cherry (tomato) on top. A great April Fool’s Day food prank. Preheat oven to 350 degrees. Line a 12 cup cupcake tin with foil liners. 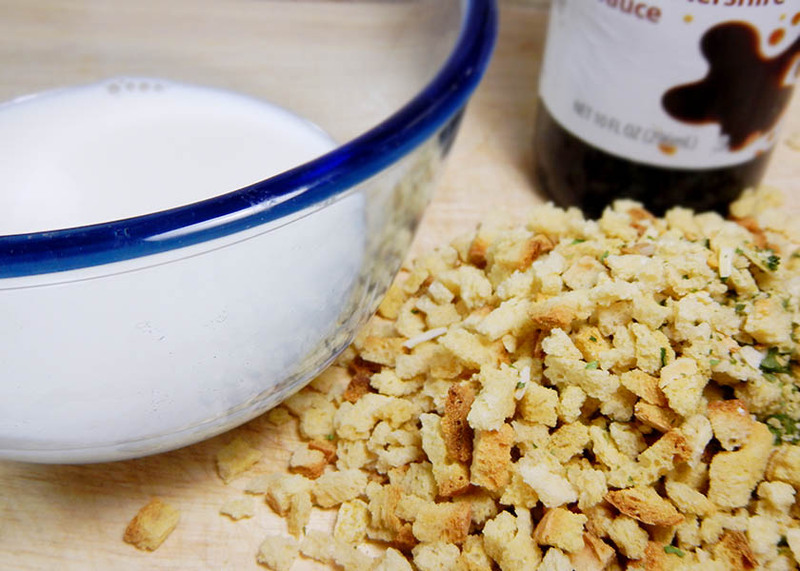 In small bowl, combine seasoned stuffing mix, milk, egg, Worcestershire sauce, salt, and pepper. In medium pan, melt butter over medium heat. Add chopped onion. Sauté for five minutes. Add minced garlic. Sauté for two more minutes. Stir into stuffing mixture. 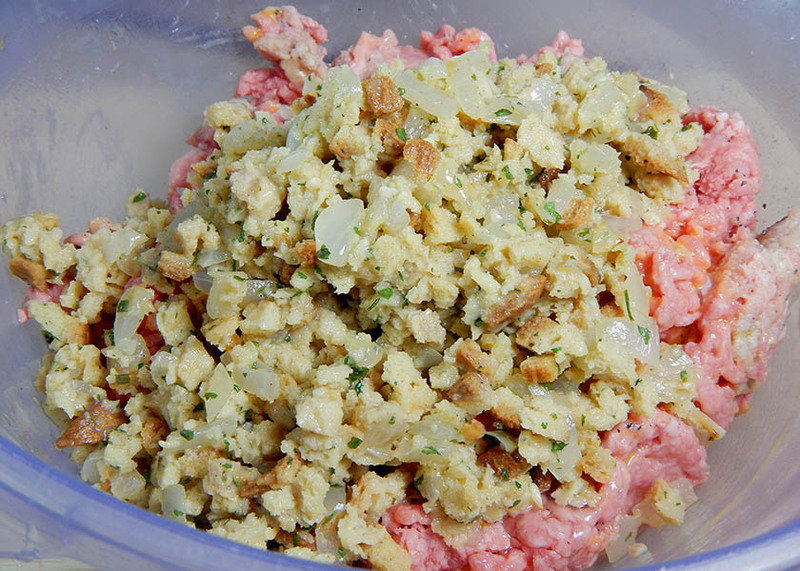 In large bowl, combine meat and stuffing mixture. Mix until just combined. Fill each cupcake liner to the top with meat mixture. In small bowl, combine ketchup and brown sugar. Spoon mixture over each mini meatloaf. 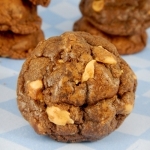 Bake for 20 minutes or until the internal temperature reaches 160 degrees. Remove pan from oven. Cool for five minutes.There will be some grease in the bottom of each liner. 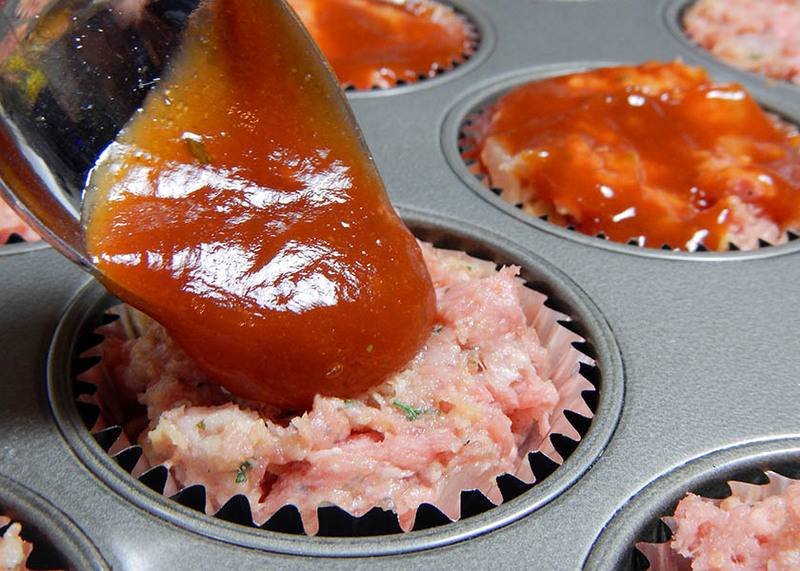 If desired, place meatloaf cupcakes in clean liners. Top with mashed potatoes. Wash and peel potatoes. Cut into 2 inch pieces. Boil for 10-15 minutes until soft. Drain and place in a large bowl. While potatoes boil, melt butter in a medium sauté pan over medium heat. Add minced garlic. Sauté for two minutes. Turn heat to low. Stir in milk, salt, and pepper. Heat until milk is warm. 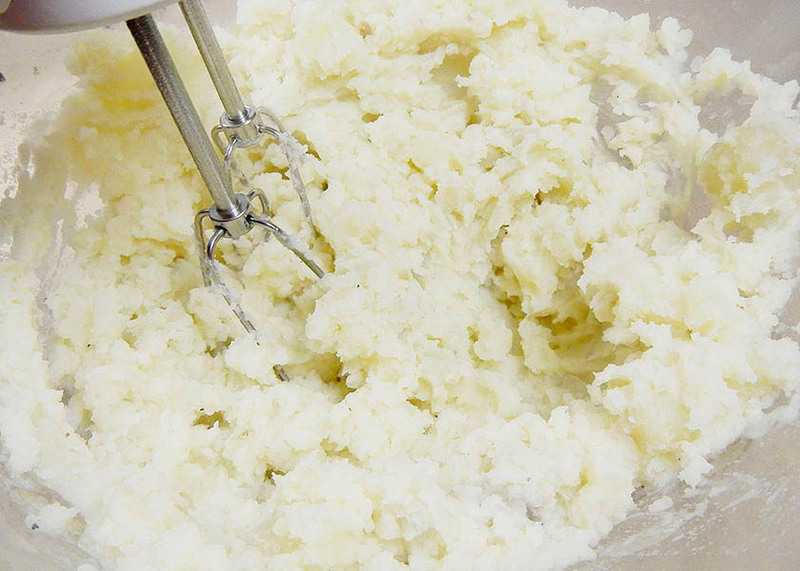 Stir milk mixture into potatoes. Whip until smooth. Pipe or spoon potatoes onto meatloaf cupcakes. Top with tomatoes. 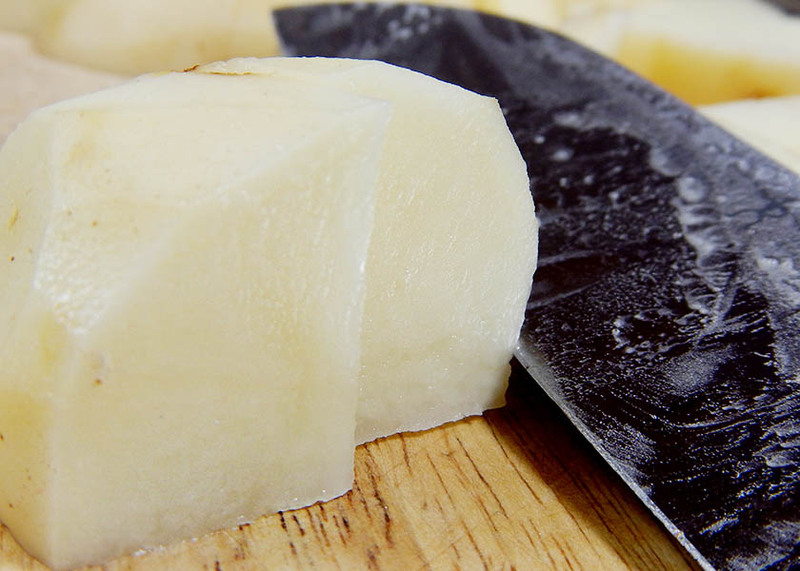 Can be stored tightly covered in refrigerator for up to two days. I have made these 3 times for the guys and gals in our book club and they want me to make them again…..
I’m so happy to hear that Mr. Lippy!